Had to share!! 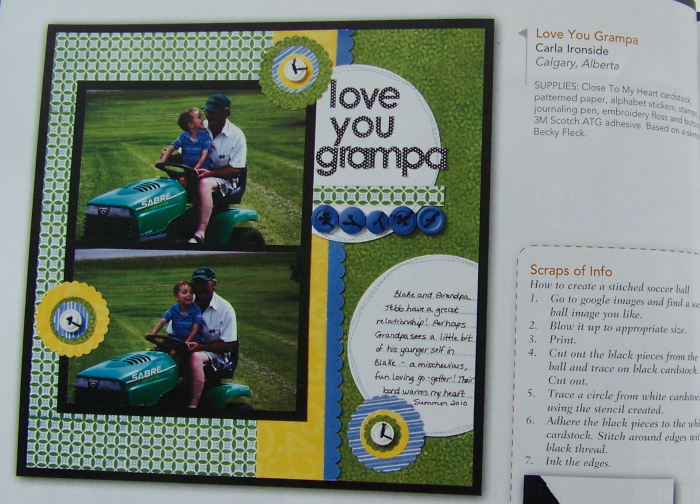 The Summer 2012 issue of Canadian Scrapbooker just came out & one of my layouts was picked up this issue!! YAY!! This is my second publication - which was big for me because it means the first time wasn't a fluke! Ha ha! 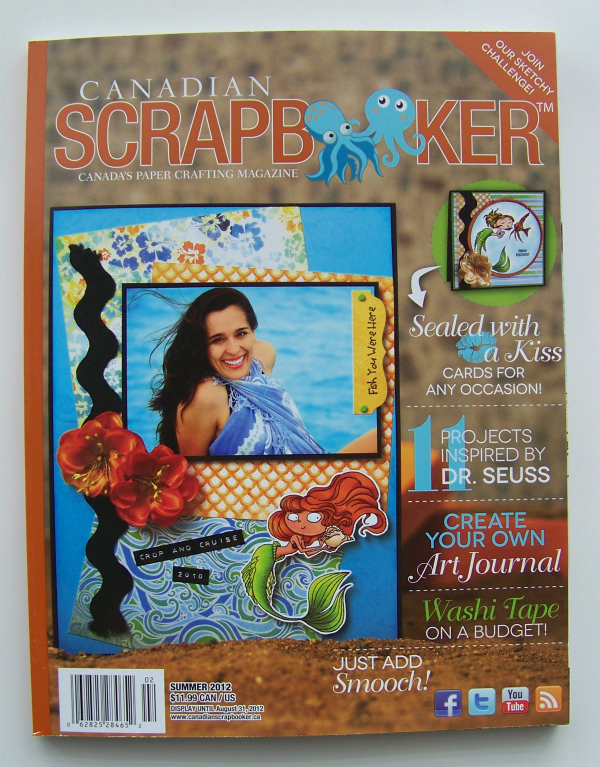 My layout shares a page with the artwork of Cari Locken, Jill Sarginson, and Kelly Klapstein - - all amazing Canadian scrappers!! So exciting! 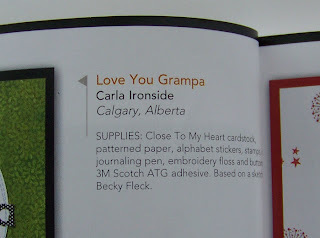 My name in print - that will never get old! A close up of the layout - - riding the tractor with Grampa is a favourite summer past-time of both my kids. 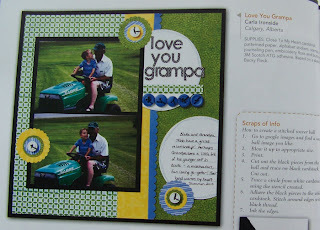 The left side of the page was stamped using the CTMH stamp set "Two-Step Backgrounds". The sketch is from Page Maps book. Paper packs used were CTMH Splendour and Animal Cookies (both retired). 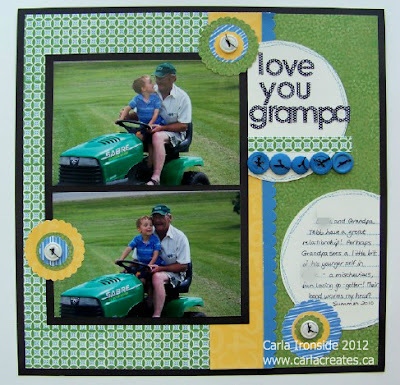 Circles and scalloped circles cut with CTMH Art Philosophy Cricut cartridge. Buttons & floss, alphabet stickers all CTMH. Thanks for sharing my excitement!! 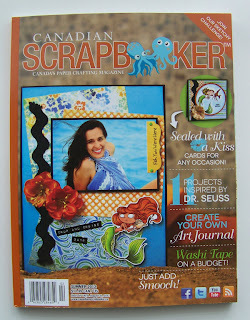 Be sure to pick up the summer issue of Canadian Scrapbooker - lots of great inspiration to be had! Congratulations Carla! That's so exciting!! I love your layout!! Congrats Carla. Your layout is so fabulous. I love the vibrant colors and the circle elements. 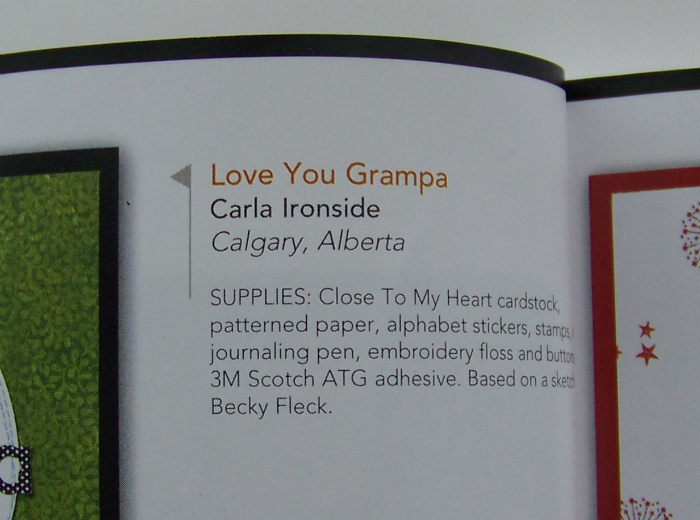 Congratulations, Carla! How completely exciting!!! Congrats!!! When I saw your layout in the issue I gave a little scream, lol. I said to my family..."come over here and look at this..this is my friend Carla"...I'm so excited for you! It's always fun to see you name in print!